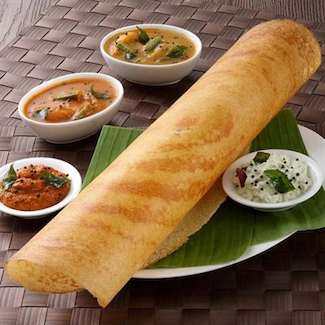 My recent experience of dosas, one of Southern India’s favorite food snacks, typifies the potential and shortcomings of India’s BPM (Business Process Management/Outsourcing) industry. The product is fantastic once you experience it, but, as a Westerner, you probably haven’t got a bloody clue what you are actually buying. “It’s a bit spicy, sir” was the response, when I asked what the Mysore Masala dosa actually was. At that stage, I just took the plunge, but a little more description of why this food product is very tasty and will meet my desired hunger-fulfillment outcome, would have really helped close that deal. 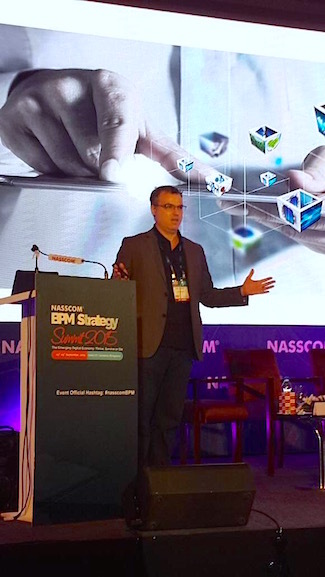 Coming back from the excellently well-attended and content rich 2015 NASSCOM BPM strategy summit in Bangalore this past week, I find myself feeling conflicted between excitement and frustration for the future of Indian-centric business process management / operations services. Execution is better than ever. India-based process delivery is getting really good. The tiresome client whining about poor execution and failed promises is become fainter than ever, with the vast majority now proudly talking about how smoothly their offshore operations are running. At HfS, we don’t need to visit India to get this feedback, but seeing so many operations up-close is always a good refresher to reinforce the progress being made. India has massive potential to lead the world in process delivery centered on analytics and robotic process automation. This was, personally, my biggest reinforcement. India delivery is all about passion for processes, getting them executed and doing smart things to make them run better and throw off meaningful data. Most of the analytics and automation needs of today’s BPM deals are not rocket science – it’s making sure insurance claims, invoice generation, order management, credit and collections etc remove unnecessary manual steps, produce the outcomes clients want at lower cost of delivery. Most of the competent BPMs are now deploying bots in their centers alongside their staff, leveraging many of today’s off-the shelf tools, such as Automation Anywhere, Blue Prism and UiPath. And they’re pretty damn good at it. BPM providers have a real permission to play as As-a-Service providers. Barely 2-3 years’ ago, most industry folks assumed a service provider had to be a serious purveyor of IT services and business processes to be taken seriously as a one-stop-shop for Business-process-as-a-Service solutions. Analysts and advisors clamoured for the pureplay BPMs to merge with the IT services shops lacking business process capability, in order to get ahead of the emerging wave of solutions that have cloud-based technology platforms powering the processes. Today, that assumption is a fallacy, as the confidence in public cloud from most enterprises shifts the service provider differentiation from IT to process excellence. Noone questions the competence of a professional provider to host as-a-service platforms, such as a Netsuite, Workday, Blackline, Coupa, Salesforce (or homemade solutions) – the onus shifts to said provider’s ability to provide the bread-and-butter fulfillment, the analytics, process automation and creative services to deliver their clients outcomes and achieve attractive cost-reduction targets. Big is no longer beautiful as the new wave of BPM deals emerge. Many of the leading BPM service providers have become endowed this year with bulging pipelines of potential new business – the only headache for them being that most of these new potential deals are coming from the next layer down (in size) of buyer, and from buyers wanting narrower scope of delivery. Moreover, buyers are getting fed so much information about cool things such as digital, analytics and robotics, they are demanding a lot more complexity from providers, than merely a simple lift-shift-transition of staff, at minimal business risk. Simply put, most of the new deals are just not as appealing from an economics perspective, and it’s much more effort to cobble together a winning solution. However, for the ambitious service providers, there’s a lot of business out there to keep them growing and drive them toward building integrated As-a-Service solutions. Lack of decisiveness. It always baffles me why many Indian-heritage providers can see that’s happening staring them in the face, but, instead of aggressively getting ahead of the change, they opt to play it safe and copy what everyone is doing. I was disappointed with the approach of many of the service providers refraining from hammering home their distinctiveness, instead opting for the canned messages that, quite frankly, said little of their differentiation, beyond the fact they were quite good. Very poor positioning of analytics and automation. These capabilities must be front and center, aligned to industry and horizontal process acumen. Instead, most of the BPM providers seem to have forgotten that analytics is the most important differentiator, and plop in automation as a one-slider towards the back of the sales deck. There is an obsession with following the messages of the IT services firms (which spend loads more on marketing hype), than focusing on real process capability, which is really what they are selling. If I want to buy digital technology platforms, am I really going to call up a BPM firm? And if I want process excellence, am I really going to call my local app testing extraordinaire? C’mon people, let’s get a reality check here. Indian BPM firms range from average to very bloody good at managing data and automating basic process delivery. This is where they need to focus. Automation paranoia must cease. While I would agree there is a genuine move toward FTE elimination in customer call center services, through smarter automation and better tech (which has been going on for about 30 years now), when you get into the rest of the back office world, most automation is about streamlining elements of the processes, not replacing entire FTE roles. These soft-savings are offset by creating more capacity for staff to focus on interpreting data, proactively addressing client needs, adding genuine value to the service delivery. Now, if there are staff who only ever do the most basic of transactional processing, there will likely be some work for that individual on a less sophisticated client engagement, or that staff member may simply need a career rethink – most people really don’t want to do boring transactional office jobs anymore. Net-net by embracing new automation technology and proactively upping the value of the service delivery, will only grow demand for India-centric delivery, not reduce it. True, the influx of new BPM staff hiring will (and already is) gradually decrease, but this is what happens when industries mature and growth slows to a more sedate pace. This is just basic economics. If the Indian-heritage service providers fail to embrace automation effectively, they will get hit hard by those as-a-service providers which are making RPA native to their delivery without even an afterthought. Too many heads buried in the sand. Most of the Indian BPM industry seems to have talked itself in a comfort zone, that, quite frankly, doesn’t exist. We’ve seen many once-great service brands tank alarmingly quickly because they failed to get ahead of industry dynamics, opting to rest on their laurels. I hate to say it, but several of the Indian-heritage BPMs are falling worryingly into that trap. There needs to be a jolt somewhere to shift this mindset, or this industry could slip into insignificance very quickly. From my conversations, many folks just don’t seem worried about their firms’ inabilities to integrate services across P&Ls, or a clear lack of any direction. Many folks just seem to think that these disruptions will affect their successors at some distant point in the future, and do not really need to do much about addressing them today. Invest in smaller deals that have common process elements. Indian BPMs need to invest in effective as-a-service platforms by picking up an array of smaller client deals and building something robust that can scale and become profitable over time. As the mega deals continue to slow, this is the only way forward for most of the BPM providers. They need to pick the processes where they really want to play and make a concerted medium-term investment plan to create their As-a-Service platform for future growth. This may mean taking on 15-20 new clients on modest margins to build that platform, but that is the only way forward – build the solution first and stop customizing deals for clients that have little scalability or reliability. Invest in proper marketing. The disease of commissioning cardboard white papers nobody reads; producing mimicked meaningless messaging than means nothing to anyone; hours spent with out-of -touch legacy analysts who impact nobody, has, let’s face it, reached news depth of affliction. We are in the process of boring ourselves out of existence, and – most worryingly – turning off clients. The whole BPM industry is crying out for a facelift and a fresh series of conversations that reflect reality, not fluff. Move on from “BPM” as the brand, as effective BPM is now the table-stakes. While I commend the Nasscom folks for creating an alternative to the dreaded “BPO”, BPM is more of an interim term, in my opinion, to the eventual As-a-Service end-state. It just doesn’t mean a helluva lot, and in today’s market, effective business process management is par for the course – it’s the staple solution you buy. The real value today is in the services that can be delivered with the BPM to make them really effective. Loved this, Phil! You've expertly highlighted their strengths and limitations. Enjoyable and to-the-point. Seems to be there is too much back-slapping with past success and not enough real discussion on what need to change for the better. Do you agree? Great piece! Come to think of it, comparison with the ubiquitous dosas is so true. But why wake up to smell roses (and not coffee)?!? Did they not serve you the famed South Indian filter coffee after your dosa?